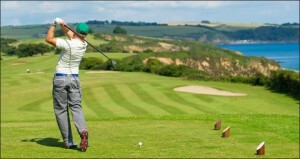 One of the Most Spectacular Championship Golf Courses in the UK – Carlyon Bay Golf Course, Carlyon Bay, St Austell. 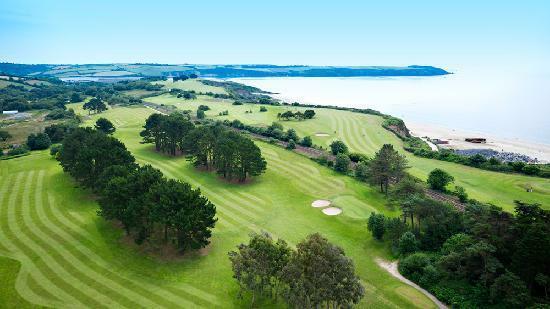 Just 5.6 miles away (13 minutes drive) is the luxury Carlyon Bay Hotel, where you will find 6,500 yards of challenging yet hugely enjoyable golf. The Par 72 course is the most stunning cliff top golf course in Cornwall and one of the most spectacular championship golf courses to be found anywhere. 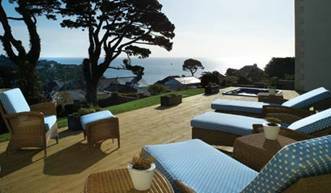 You play the first ten holes right on the cliff top and many of the 18 holes have breathtaking views across St Austell Bay. This is one of the best maintained golf courses in Cornwall and the immaculate greens are in pristine condition throughout the year. 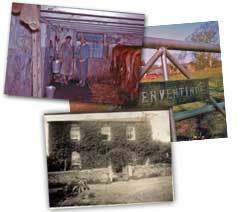 Nearby, is a 6 acre practice ground, 2 putting greens and a picturesque 9 hole approach course. Carlyon Bay offers one of the finest practice grounds you could find anywhere, making it the ideal Cornwall Golf Course for golf tuition. The championship golf course is just a short stroll (or golf buggy ride) from the luxury Carlyon Bay Hotel. To book your Tee time, call 01726 814228. …..and whilst the Gents are on the Golf Course, there is no reason why the Ladies can”t treat themselves too! 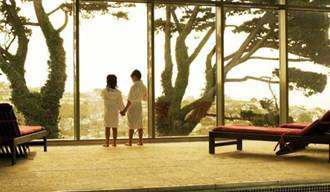 How about a massage or pedicure at the Fowey Hall Hotel & Spa, or maybe just a lazy day swimming and relaxing in the hot tub will do !